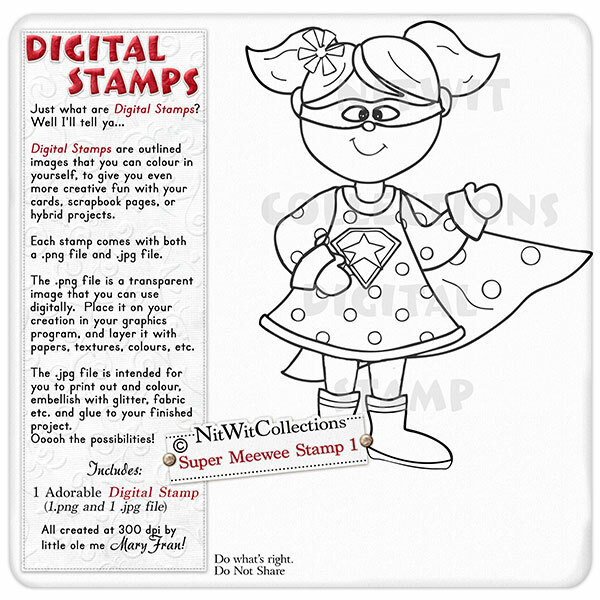 Super Meewee Stamp 1 is our Super Girl Superhero. Give her all that she deserves with your creative additions to this stamp! The choice is yours with this digital stamp. A great creative addition for your card making, scrapbooking, and hybrid scrapbooking projects. 1 Supergirl Stamp (2 files - 1 image is a .png file and 1 is a .jpg file format).